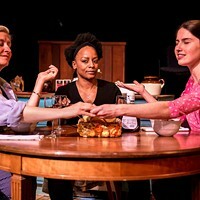 Firehouse Theatre explores the terror of losing one’s mind in “Songs from Bedlam” | Theater | Style Weekly - Richmond, VA local news, arts, and events. In the weeks leading up to Halloween there is always a proliferation of haunted houses around town. Many of these spooky attractions include a small barred window through which you can peer into the squalid living quarters of the mad man who is bound, at any second, to jump up, cackling in the face of your fear. With its latest production, "Songs from Bedlam," the team at Firehouse Theatre sheds light on the very real history behind the trope of the creepy lunatic. 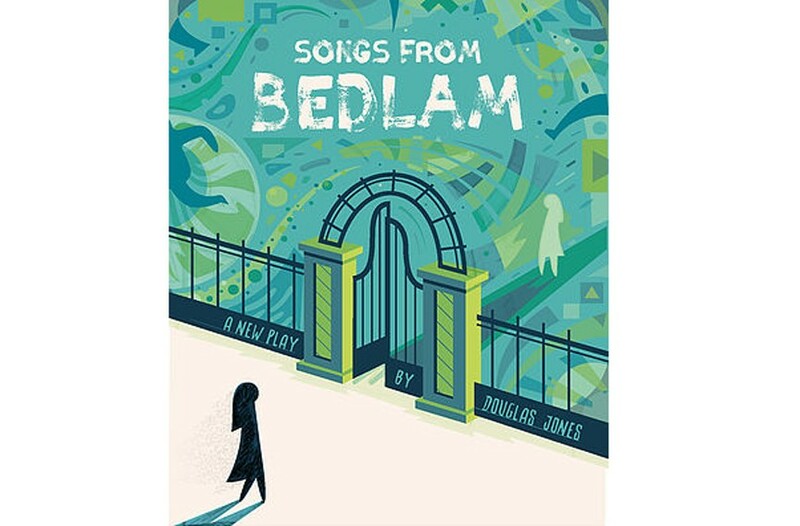 The play takes its title from London's notorious Bethlehem Hospital, its name shortened to Bedlam, a word that has become synonymous with madness. It was here, in the 16th and 17th centuries, that some patients composed "mad songs" to entertain the public who paid to roam the halls, ogling the mentally ill.
"You could pay a sixpence and go watch the crazy people," explains Linda Snyder, who plays Angel, a woman with severe post-traumatic stress disorder. "And we are engaging the audience at times as people who have come to view us." Director Todd LaBelle has recreated the Bedlam experience, placing performers behind bars beneath a low ceiling, with audience members on three sides for an intimate and immersive look at how society views and interprets the mentally ill.
"It's scary," says Jonathan Hardison, who plays Mad Tom in this production, "There may be no more terrifying thing than losing control of your own mind, and on top of that, being shunned and demonized by society. That whole concept is absolutely terrifying." Playwright Douglas Jones says that his goal with this play is "to give voice to broken, neglected, invisible people, to break down the imaginary wall between us and them, because there really is only us." Originally produced by Barksdale Theatre in 2003, "Songs from Bedlam" is "set in no time" and features songs and monologues from a series of characters, each suffering from a different mental illness. 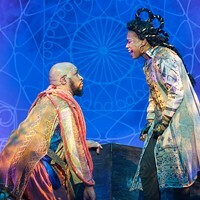 Jones and LaBelle reworked the script, increasing the number of performers from four to six and re-imagining the setting. LaBelle says that both Chris Raintree's claustrophobic set and Nic Perez's costumes echo character transformations. "Their reality is becoming a part of our reality," LaBelle says, "and we are attempting to create a dynamic that is less presentational and more environmental." "We are in this cagelike environment," Snyder says. "We get to really experience what's going on inside their heads, being on display, and some of these characters are asking for help and other are just confused. It's just another level that we can add to each of our characters." Working on this production has performers calling on their own experiences with mental illness, something Granville Scott, who plays Elmo, says has been cathartic. "It's very fulfilling being able to tell a story from the other side," he says. Performers are also finding inspiration in research they've done, the evening news, and past acting experiences. Both Hardison and Irene Kuykendall, who plays Mad Mary, have worked as standardized patients at Virginia Commonwealth University's Center for Human Simulation and Patient Safety, a partnership between the medical and arts schools that allows actors to assist physicians in practicing ways to better communicate with patients. "Communication is an important concept in the play," LaBelle says. "Mentally ill people do have the ability to communicate, they are communicating with us. The issue is, we as society have not yet learned how to understand what it is that they're saying." 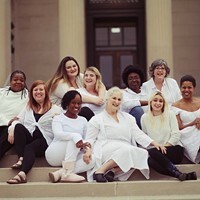 Both LaBelle and Jones have said that their vision for this play is rooted in the phrase "There but for the grace of God go I," because these characters and the mentally ill people they depict aren't so different from us. They're victims of circumstance. Kuykendall notes that this can involve trauma, life experience, their surroundings and "the people and things they do and don't have access to." Firehouse Theatre's "Songs from Bedlam" runs from Oct. 17 to Nov. 4. Tickets cost $15 - $30. firehousetheatre.org.